Happy October 1rst! 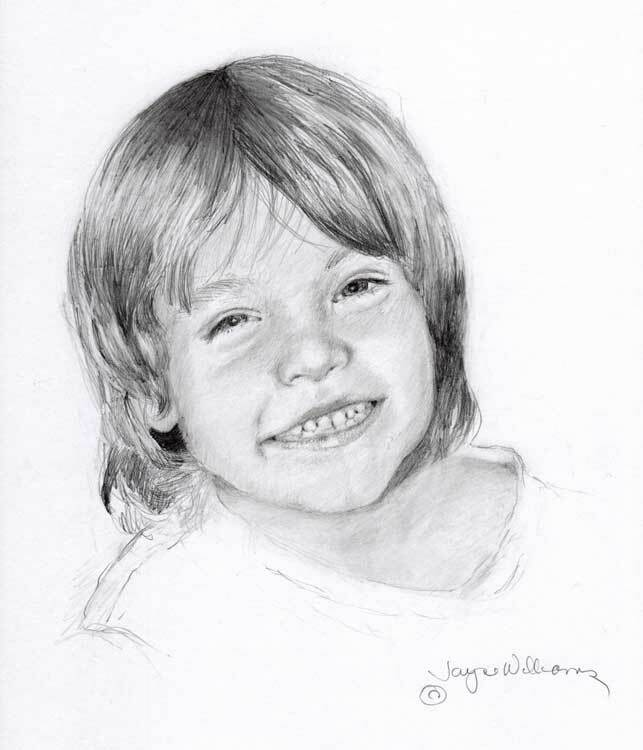 A commissioned pencil portrait of a friend’s grandson. How can you help but smile when you see that joyful face? Thank you, Linda. He has such a sweet face. This one rates Two smiles (at least). am sure they will all be thrilled with this! Your work is great Jayne!! Yay Jayne ! you are back to your art! Beautiful beautiful child and art work!! Extraordinarily fine, Jayne, really beautiful work. I love the fine detail of the hair, and the rendering of the eyes and mouth. You have the gift of capturing the vibrancy of real life. Great job!